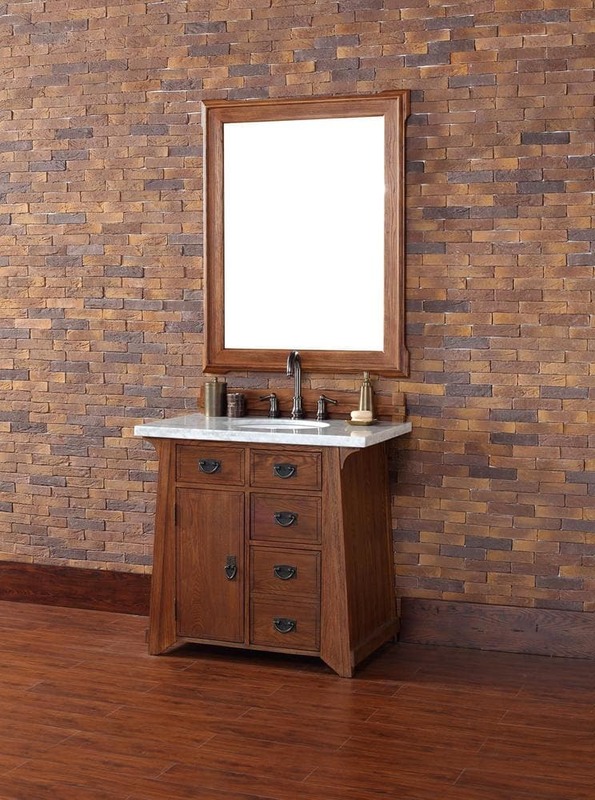 The Pasadena 36" Antique Oak vanity by James Martin Furniture features an Arts and Crafts style. One door with shelf for additional storage. Three total drawers include a double height bottom drawer and two hide-away tip out top drawers. Antique Pewter completes the look. 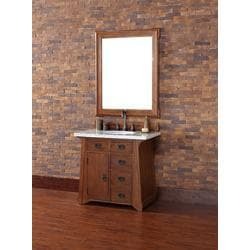 Matching decorative wood backsplash included.